The Palfinger Crawler Crane PCC is 40 cm narrower than a conventional truck and it can handle gradients of up to 60%. Thank to the knuckle boom that can be angled upwards, the high lifting power and compact dimensions, the PCC can be also used in urban areas as well as in the industrial and indoor sector. The crawler allows the crane to be quickly repositioned on construction sites and when necessary. 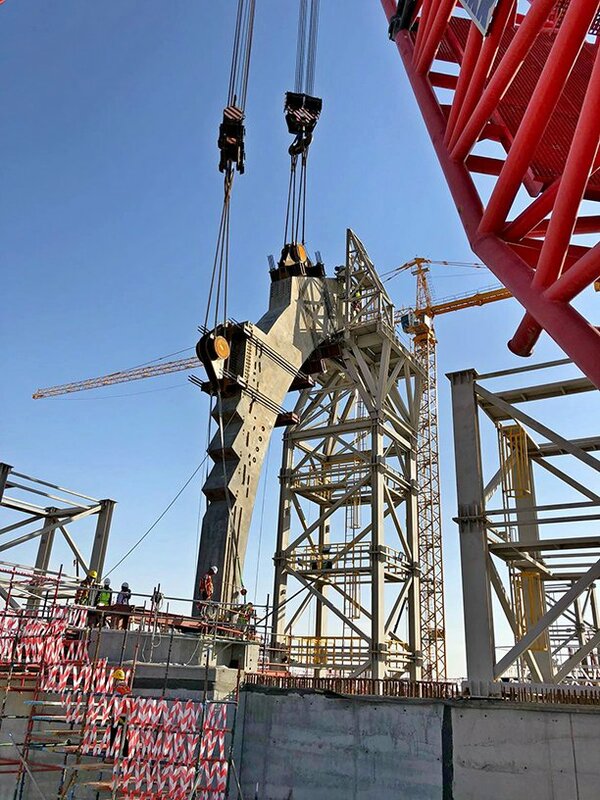 Another advantage is that the crawler and crane can be controlled, transported and operated separately, which is particularly useful in situations where weight restrictions apply. The crane module can also propel itself on its own stabilisers without the crawler – a process also know as “shifting”, explains Hagenauer. The PCC can also be mounted onto the transport truck. PCC offers compact dimensions with a minimum clearance width of 2 to 2.2 metres and, minus the crawler, a passenger height of 2.2 to 2.5 metres. Shifting (moving the crane using only stabiliser outriggers) allows the system to be moved through extremely low and confined spaces and loaded into a container without the crawler. 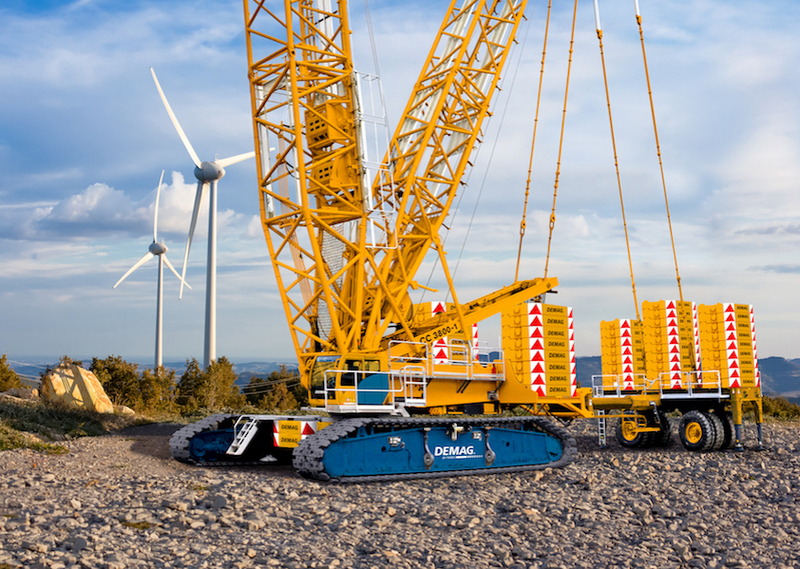 The Palfinger Crawler Crane PCC is initially available in three variants, between 50 to 115 tonne-metres. 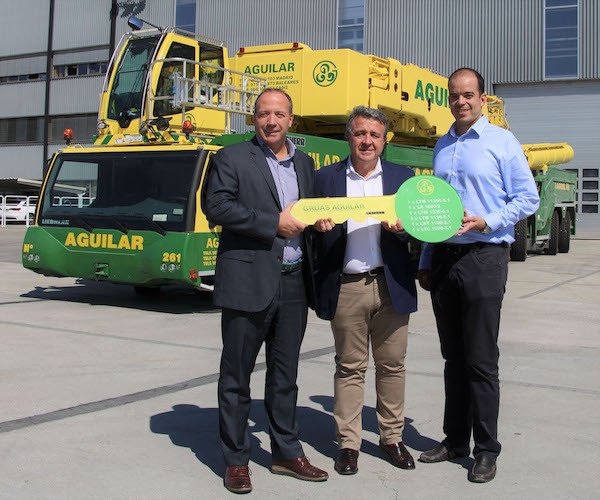 The first is the PCC 57.002 with a maximum reach of 29.5 metres, a maximum lifting height of 32 metres and a maximum lifting capacity of 17,900 kilograms. The next is the PCC 71.002, that has a reach of 31.6 metres, a maximum lifting height of 34 metres and a maximum lifting capacity of 19,100 kilograms. 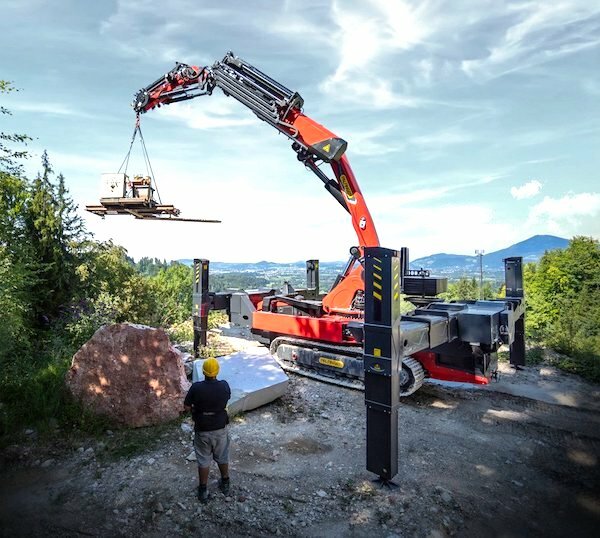 The last and most powerful model is the PCC 115.002 which has a reach of 33.3 metres, a maximum lifting height of 35.8 metres and a lifting capacity of up to 30,000 kilograms. Additional equipment such as workman baskets, vacuum lifters, pipe manipulators and grippers are available for all models. PCC 71.002 and PCC 115.002 are available now and the model PCC 57.002 will become available in spring 2019. 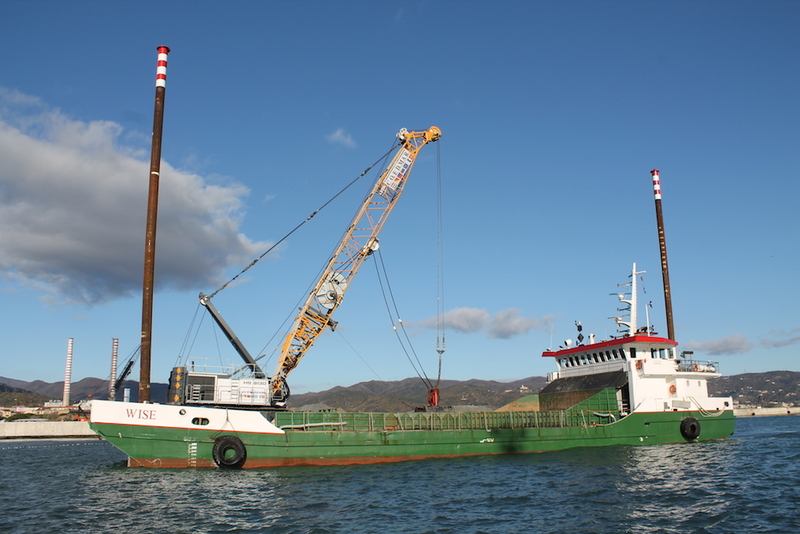 In the Port of Vado Ligure, in Northeastern Italy, the dredging company Co.Ed.Mar is using for some time its self-propelled barge « Wise », in which a brand new Liebherr duty cycle crawler crane HS 8130 HD is installed in order to remove the sediment. 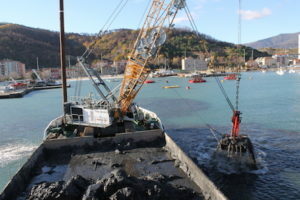 Fitted with a hydraulic clamshell bucket, the machine has a handling performance of 400 cubic meters per hour, which is equal to the barge loading capacity, and has cycle times of only 45 seconds. These operations take place within the port expansion, wishing to extend its capacity and welcome more and larger vessels. 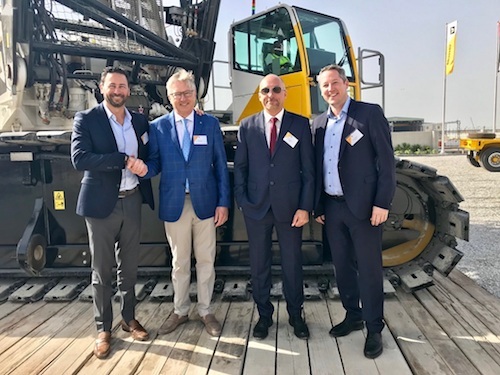 The Norwegian transport and lifting services specialist Crane Norway Group has placed an order for ten Demag all terrain cranes – one Demag AC 100-4L, three AC 130-5, two AC 160-5, four AC 250-5 and a 650-tonne Demag CC 3800-1 crawler crane. “The Crane Norway Group has shown its continuous support and believes in the Demag line of products by ordering these cranes,” says Crane Norway Group CEO Trond Helge Skretting. “The Demag CC 3800-1 is the reference in its class. Every single aspect meets our needs, from performance to safety features and from transportation to efficiency and speed of erection,” he adds.